History of Soccer in America dates back much longer than I had anticipated prior to writing this article. First American Soccer Governing Body was called NASL - North American Soccer League between 1968 - 1984. North American Soccer League had brought superstars like Pele and Franz Beckenbauer to ignite this sport in America, however Over-Expansion and large spending on already aging players caused a quick decline, ending this league in 1984. MLS History in the United States starts with a promise to FIFA that there will be a Professional Soccer League formed in United States, if the World Cup was brought to United States. 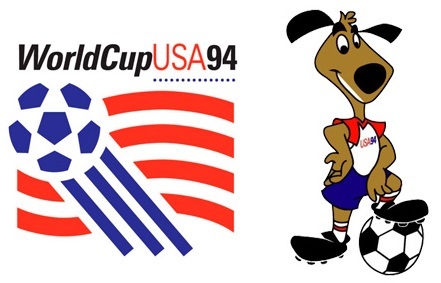 FIFA's support to host the 1994 World Cup in America is the main reason for MLS (Major League Soccer) to be formed. Major League Soccer was officially established in 1996, shortly after the 1994 World Cup in America. MLS started with 10 teams participating in the League, split up into Eastern and Western Conferences due to long trips clubs would have to make, had the league only consisted of one conference. Major League Soccer has had its ups and downs over the years. Beginning years of MLS were the hardest because soccer was overshadowed by Football and Basketball, primary sports in America at the time. It took years of restructuring and attempting different things to make soccer popular and profitable in USA. Great tactic to make the league more popular was in bringing some of the greatest players in the world of soccer, like David Beckham, Thiery Henry, Blanco, Rafael Marquez, Robbie Keane, Tim Cahill, Marco Di Vaio and more to come. These signings should be written into the History of Major League Soccer as they helped fill up the stands with people wanting to see world class players in action. When David Beckham signed with LA Galaxy, getting 250 million dollars for his contract, every game was at full capacity filling the stands in both Home and Away games. This made David Beckham very profitable and a much needed success for the league. With soccer gaining popularity on TV and different states, game has sparked an interest in people living in America and will prosper with new generations of players. Young generations are enjoying this sport more and more, having a lot of fun playing soccer and being active, instead of being glued to the TV and Videogames. There is unlimited potential for Soccer in USA. This is a Country that loves entertainment and is a home for different people with different ethnic backgrounds. Major League Soccer continues to be better, and with years to come I can see it becoming as good as any of the top leagues in the world. Time will tell, but it is definitely headed in the right direction. For more information on United States history of soccer visit US Soccer Timeline.